This Apple Walnut Salad is a vintage dessert salad made with cream cheese, yogurt, apples, grapes, walnuts, and sugar! It’s a potluck favorite and everyone will want the recipe! Pin it to your SIDES BOARD to SAVE it for later! Everyone needs a touch of vintage in their lives, even if it’s sprinkled into their stash of recipes. A crowd-pleasing throwback dish is a necessity during the holidays, the most wonderful and nostalgic time of year. 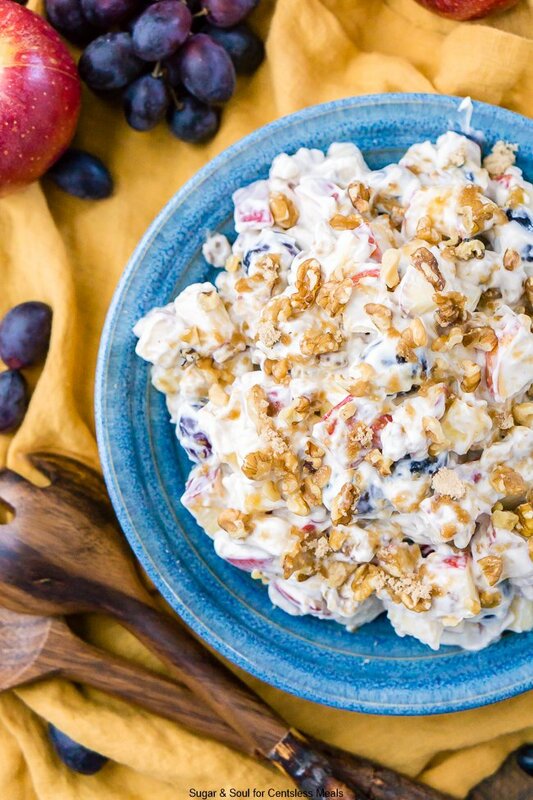 Now that we’re nearing November, it’s the perfect time to introduce Apple Walnut Salad, a sweet and tangy old-school side or dessert dish that will never go out of style. Cool, creamy, and a tad bit tart, Apple Walnut Salad is festive for fall, as well as the holidays that are just around the corner. Crispy apples, cream cheese, and greek yogurt are blended with vanilla and brown sugar, then topped with a handful of crunchy walnuts. In addition to evoking the flavors of autumn, this recipe highlights the magical combination of apples and cheese. 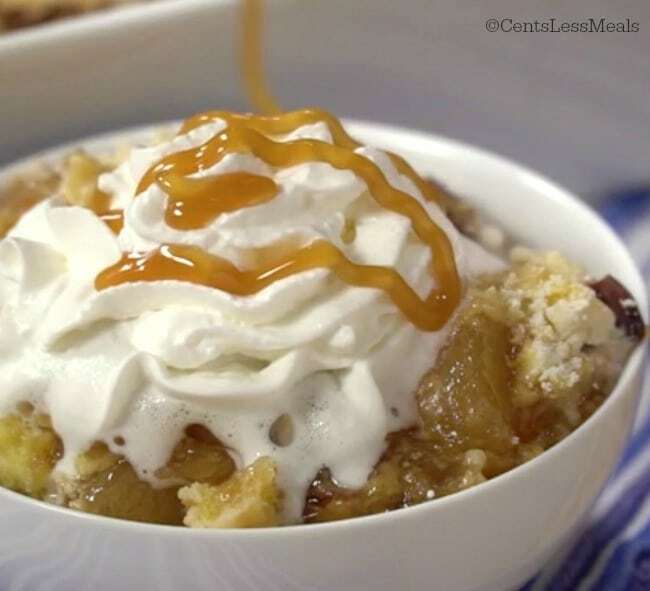 Plus, it’s a great way to use up the extra fruit you have left over from apple picking! 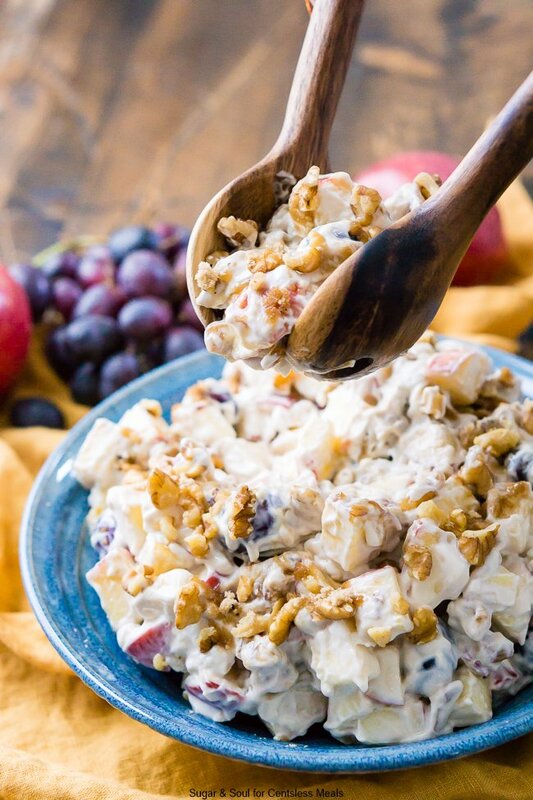 Apple Walnut Salad is a light and refreshing must-have for the Thanksgiving table. 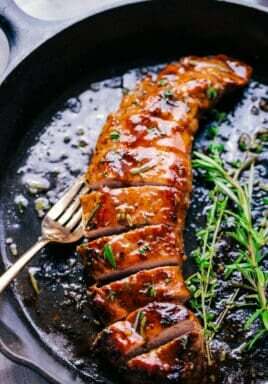 Aside from being delicious, it’s so quick and simple to make! 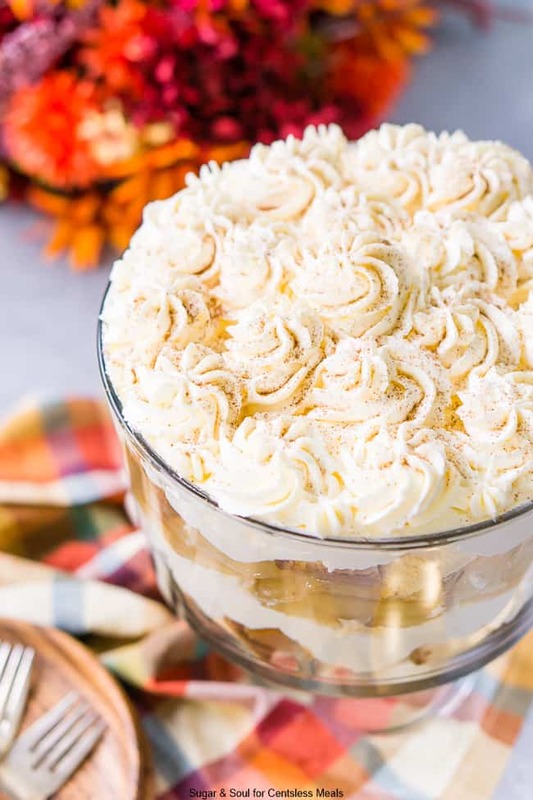 No need to balance your time between making this and the perfect pumpkin pie because it won’t take up any room on the stove, it only requires eight ingredients, and you can even prepare it ahead of time (in fact, it can be made the day before, then stored in the fridge). And if you’re feasting at someone else’s house, it’s easy to pack up and bring along with you, and it can be eaten immediately – no reheating required! The holidays will be here before we know it, so now is the time to arm yourself with a handful of easy-to-make recipes, especially ones you can make in a pinch. 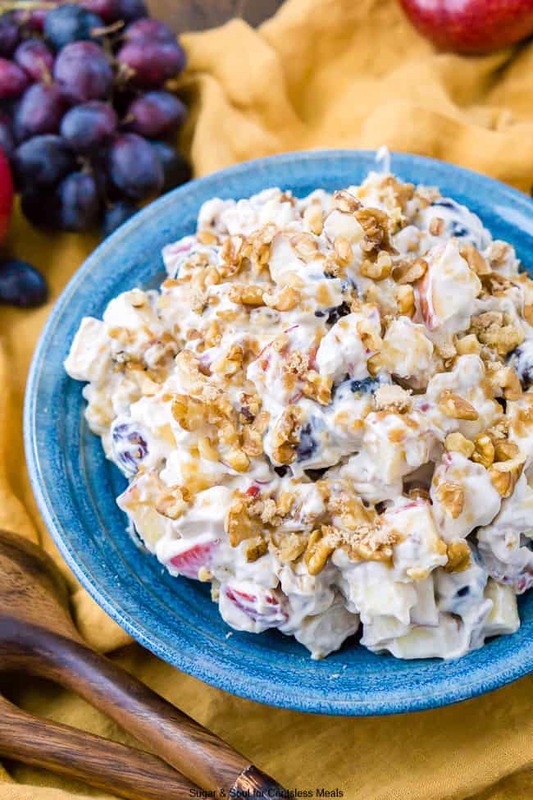 Apple Walnut Salad is sure to be a favorite for everyone, from sweet-toothed nieces and nephews to grandparents who appreciate classic flavors. When you’re in need of a side dish that’s sure to please, try this recipe… and make enough for everyone to have seconds! 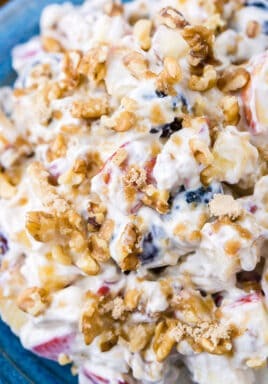 This Apple Walnut Salad is a vintage dessert salad made with cream cheese, yogurt, apples, grapes, walnuts, and sugar! It's a potluck favorite and everyone will want the recipe! 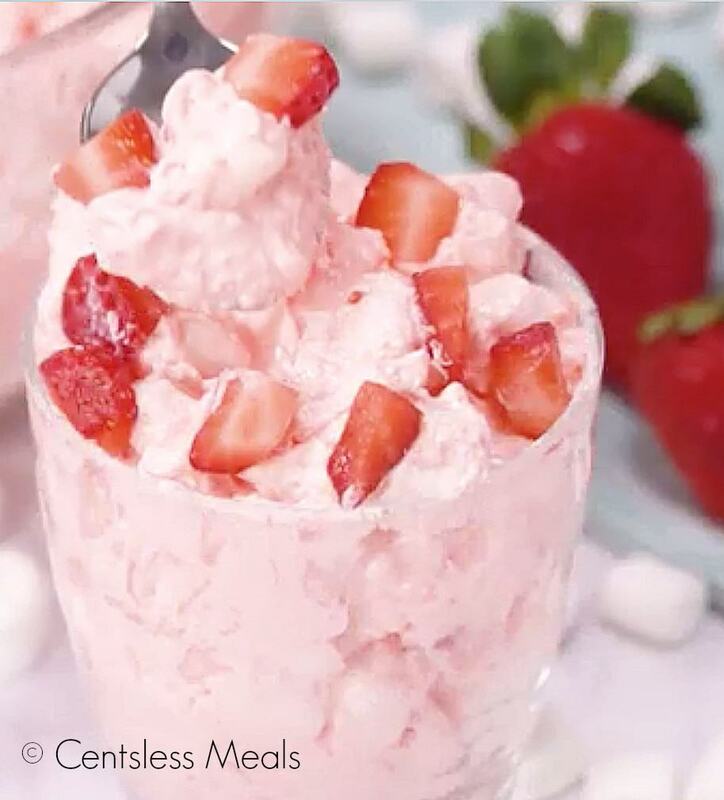 In a large bowl or stand mixer fitted with a paddle attachment, whip together the cream cheese, yogurt, sugars, and vanilla until smooth. 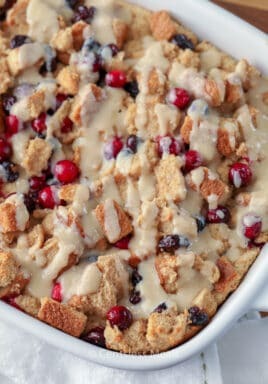 Add in the chopped apples, grapes, and walnuts and mix until evenly coated. Transfer to a large bowl and sprinkle with additional chopped walnuts and brown sugar. 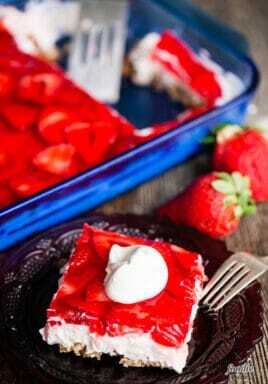 Enjoy immediately or place in the fridge until ready to serve. For best flavor, place in the fridge overnight after making. Best consumed within 72 hours. I have only made this recipe as written. I have heard of coconut yogurt and vegan “cream cheese.” Maybe some other readers have some ideas!